Unlike Paul we do not see and hear the sounds of Paradise; we are not conscious of Christ in the same way. 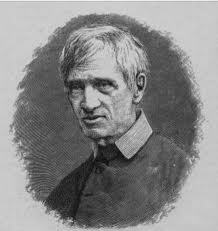 Newman notes that in the apparitions to other disciples after the Resurrection there was an unconscious communion. In his appearance to the two disciples of Emmaus he was not recognized by sight; he was known only by faith. As a Catholic Newman explains more fully Christ’s sacramental presence. A very thought provoking post! One thing I’ve wondered — some theologians write that when Jesus said, “Noli tangere” to Mary Magdalene — He was telling her not to “cling” to Him. I’ve always thought it was the other — that she was not to touch Him. It sees Newman would agree? Thank you for this post. Thank you for your comment. The Greek verb “aptou” used by John meanns “to touch” (Jn 20:17). Although Our Lord’s words cause us to ponder more, Newman’s insight about the need for faith is a very good one.